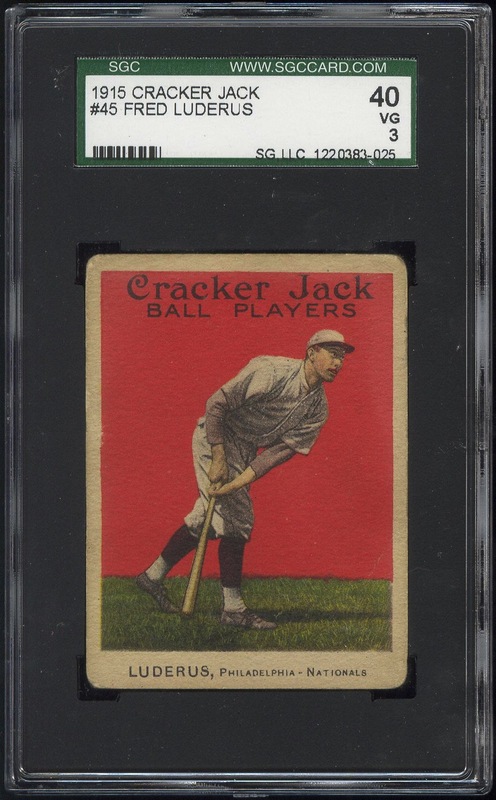 Additional Information: Essentially an updated version of the 1914 Cracker Jack set, with team changes, additions, deletions and new poses. 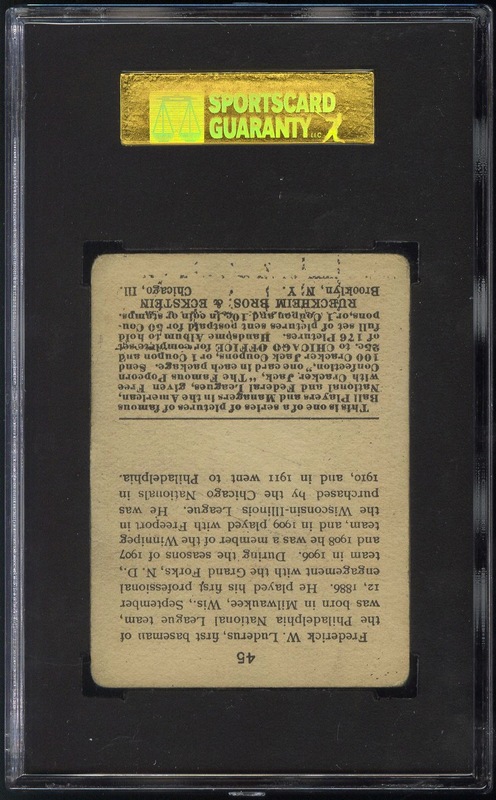 Whereas the backs of the 1914 cards notes a “complete set of 144 Pictures,” the 1915 set notes that the set is complete at 176 pictures. According to the 2011 Standard Catalog of Baseball Cards, the backs of all the cards in the set are printed upside-down.